So we’ve finished week 7. Here are some random thoughts regarding some of the games not in the AFC South. The New York Jets should have beat the undefeated New England Patriots. The San Francisco 49ers performed as expected, losing 3-20. The Pittsburgh Steelers lost to the Kansas City Chiefs (13-23), proving that a team might only be as good as their quarterbacks – disappointing. With that said, here are some cute animal pictures because…well, who doesn’t like cute animal pictures? Now, for the week in review. Warning…it was a pretty dismal showing with only 1 win for the division, and it wasn’t the Indianapolis Colts. You can sum up the game in four words…too little too late. In week 6 we saw the New Orleans Saints defense hold the undefeated Atlanta Falcons, leading to victory. We saw Drew Brees play like Drew Brees. We saw Brees’ confidence in his receivers, without Jimmy Graham. 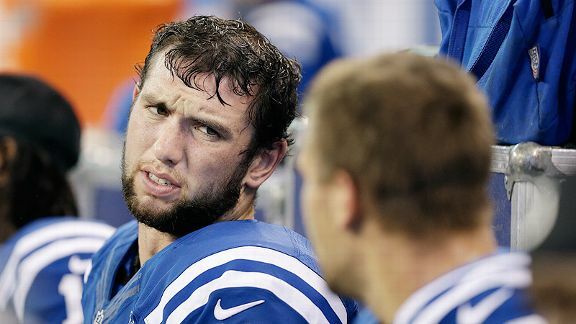 So, what did the Colts expect facing the Saints in week 7? It was believed that Luck had rounded back into form in week 6, but in week 7 we learned the Colts aren’t the championship team fans had expected. At least not yet. 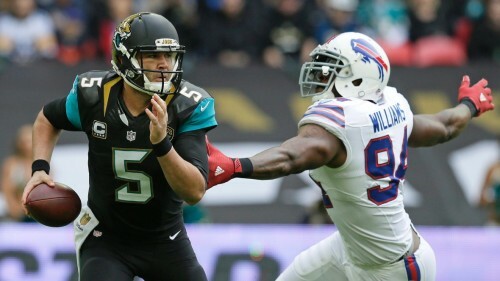 It was a spectacular win for the Jacksonville Jaguars in week 7 against the Buffalo Bills in London, finally finding a way to properly close out a game. It was impossible to stay excited after the Jaguars put up 27 points in the second quarter because Jaguars looked like a completely different team in the second half. 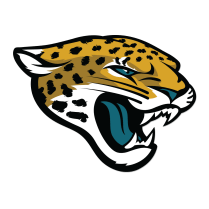 You would think the game would be cemented returning from a 27-13 score and getting the ball first in the second half, but fans have seen how quickly the Jaguars can fall apart. After an incredible first half, Bortles and the Jaguars returned to playing “not to lose”, instead of playing “to win”. Of course it didn’t help that Toby Gerhart couldn’t punch in the ball from yard out in four tries. But, why didn’t Bortles try to throw the ball? A question only the coach and Bortles will know. It looked like the fourth quarter curse would strike again after the Bills scored 18 straight points to take the lead 31-27. But, hallelujah…a touchdown from Bortles to Allen Hurns. As predicted, Bortles was intercepted by the Bills for a pick six. What wasn’t predicted was the Jaguars defense performance. The most impressive play of week 7 was not the offense, but the Jaguars defense – who recovered a fumble from E.J. Manuel for a TD, an interception for a TD and an interception that lead to a T.J. Yeldon rushing TD. I’m predicting there was champagne on the plane home to Jacksonville. Guess Gus Bradley will be keeping his job for one more week, or two since the Jaguars will have a bye week in week 8. And here’s random but cool Madden short about a lost puppy. 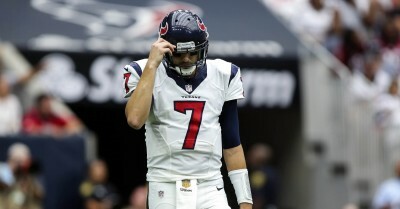 Maybe you can blame mother nature for the Texans poor performance during the first half of the game. Brian Hoyer looked confused and unable to complete a pass as the rain beat down on the field. I’m certain Hoyer wished he had a deflated ball so he could get a better grip on the football. Though the rain didn’t seem to bother Ryan Tannehill or the Dolphins very much, scoring 41 points before the half. It was one mistake after the other for the Texans. It started even before they touched the field with Ryan Mallett missing the team flight to Miami. Don’t worry, Mallett bought a ticket on his own dime and made the game. Not that it mattered. Head Coach Bill O’Brian was so disgusted he was never going to put Mallett into the game no matter how badly Brian Hoyer played, and in fact wanted Hoyer thrown off the team. [UPDATE: Looks like Coach O’Brian got what he wanted, because Ryan Mallett has now been released.] And that’s too bad for Mallett, because Hoyer certainly was bad. We can only imagine what happened during halftime, but the Texans did make a comeback in the second half scoring 3 passing touchdowns and 1 rushing touchdown. Regardless of the effort, the Texans lost. But let’s face it, the Texans lost to the better team. If losing the game wasn’t bad enough, Arian Foster, the Texans star running back, will be out with the torn Achilles for the season due to a late fourth quarter non-contact injury. Week 7 was Arian Foster’s best game since returning to the team, 59 yards rushing with 1 rushing TD and 66 yards receiving with 1 receiving TD. Foster was out with a pre-season injury and had just returned in the fourth week of the season. Guess we’re back to the wholly uninspiring running tandem of Alfred Blue and Chris Polk. Sigh. What happened to the Atlanta Falcons? What should have been an easy win against the Titans, looked to be a dismal game. The theme, if there was one, should have been “who can be the worse quarterback and still win the game”. Okay, so it’s a little long winded. But it sure is accurate. Unlike both quarterbacks. 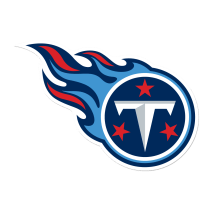 Marcus Mariota didn’t need to worry about his job, standing on the sideline watching Sunday’s game, as Zach Mettenberger completed only 22 of 35 passes, throwing for only 187 yards and managing a TD to Kendall Wright. Although the defense was able to hold Matt Ryan and the Falcons to 10 points, it might have been due to the fact that Ryan played particularly bad, not necessarily that the Titans defense played particularly well. Ryan missed several open receivers throughout the game, some that could have led to touchdowns. Not to take anything away from the Titans defense, who managed 2 interceptions and 58 tackles, but this was a particularly poor performance by the Atlanta offense. 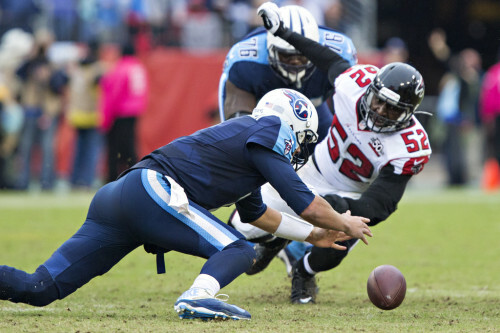 The Titans haven’t won a game this season since facing the Tampa Bay Buccaneers in week 1. If there are any Titans fans still interested in the season, there’s always potential for a win in week 8 to get you back in the spirit.